Dr. McCarty is a board-certified and fellowship trained orthopaedic surgeon with a longtime interest in sports medicine and athletics. He attended college at the University of Colorado where he excelled and received numerous honors for his exploits in the classroom as well as on the football field where he was an All Big-Eight linebacker and also was an Academic All-American.. After medical school at the University of Colorado he completed his training in orthopaedic surgery at Vanderbilt University in Nashville, Tennessee. From there he completed an intensive year of fellowship training in sports medicine and shoulder surgery at the internationally renowned Hospital for Special Surgery in New York City. He subsequently returned to Vanderbilt as a faculty member in the department of orthopedics. 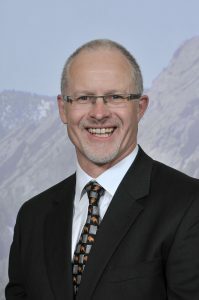 In 2003, Dr. McCarty was recruited from Vanderbilt University to take over the sports medicine and shoulder program and to serve as the head team physician for the University of Colorado and University of Denver athletic programs. Additionally, he is the Medical Director and Head Team physician for the Colorado Avalanche Hockey Club. Dr. McCarty’s specialized practice involves the care of these Pro and collegiate athletes as well as recreational and highly competitive athletes from the community. In addition to his busy clinical practice, Dr. McCarty is very active in research, teaching, and writing in the field of sports medicine and knee and shoulder surgery. He has received grants for his research and frequently gives talks at both the national and international level. He has been the recipient of several national research awards including the AOSSM Cabaud Award and AOSSM Aircast Award as well as the ASES Neer Award on two occasions. Additionally he received the prestigious Kappa Delta Award from the AAOS in 2012. He is also recognized locally at a Top Doc. He is also very active in national and international sports medicine and arthroscopic socities with positions of leadership in those societies. He has been the course chairman of numerous sports medicine courses. Since his playing days, Dr. McCarty continues to maintain a very active lifestyle with his family. He enjoys the activities he grew up with in Colorado including hiking, cycling, climbing and skiing. This carries over into his unbridled dedication of returning his patients to their desired activity/sport.